We All Love Whole Foods Right? I have never been a fan of Whole Foods. Actually, scratch that. 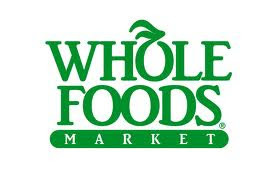 I was a fan of Whole Foods until they blocked me on Twitter in 2009 when I tried to follow them. Perhaps they thought that my username, @EnviroBooty, had to mean I was involved in some type of nefarious green going's on but whatever the case, they blocked me. Call me thin skinned, it didn't sit well with me. All of the negativity I had harbored inside about Whole Foods kind of found an outlet through my dismay at being blocked by them and their way of doing business just lost favor with me. Why Won't Whole Foods Support Labeling of GMO Foods? Now word comes that in addition to not supporting California's Proposition 37, which would require labeling of genetically modified organisms (GMO) in our food, Whole Foods continues to sell GMO products in their stores without labeling them as such. Seems pretty easy to understand that Whole Foods is not only over priced, but they are not the epitome of organic, whole foods consumers have been led to think they are. It also seems pretty easy to understand the reason that Whole Foods has not given any money to support the fight to label GMO foods is because they do not want to give up the profit they are making on Monsanto's GMO's. If the labeling initiative passes into law in California, it will benefit all consumers throughout the US. Other labeling initiatives will sprout up across the country and manufacturers will be forced to label their products as GMO and most likely those same warning labels will be used for products sold in other parts of the country as well. Does this sound like the Whole Foods you thought you knew? Is this where you want to spend your money? If you are concerned about the first long term study on GMO's that points to kidney and liver damage as well as tumors and shortened life span from consuming GMO's, you must get serious about what you feed your family and stop wasting your time shopping at Whole Foods. There is a less expensive, easier and far better way to shop for NonGMO, organic foods that you can trust. Check out my wholesale organic food store at GPDB, and start a new relationship today with a company you can trust to provide you and your family with nonGMO, organic groceries.